Quwwatul-Islam (might of Islam) Masjid is part of a complex of mosques, cloisters and courtyards built in what is now Delhi between the 12th and 14th centuries. 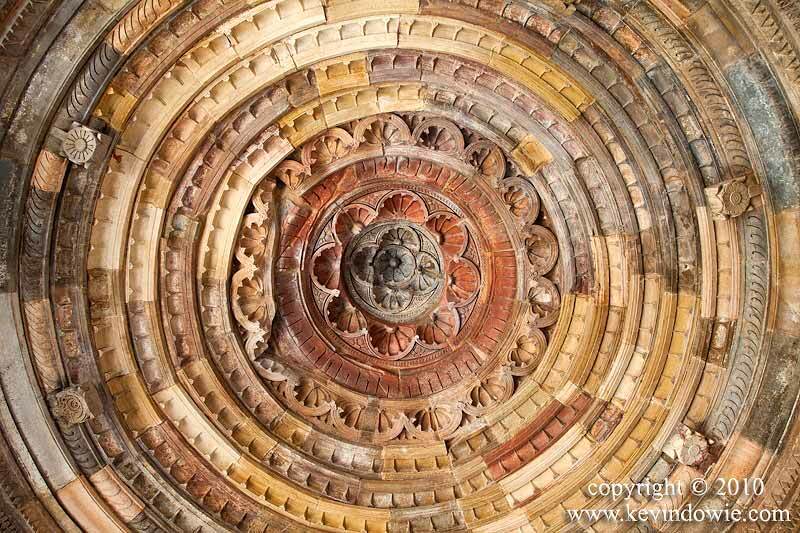 Today’s image shows the ceiling details in part of the complex, the observant reader might note that this image has also been cropped to panoramic format and was recently one of the banner images used on this blog site. Also this is part of the same complex where an earlier blog photo was taken, see; “Deep in thought, Outb Minar, Delhi” posted on 29th June. Canon 5D Mark 2 with 24-105mm lens at 24mm and F9.0, shutter speed 1/50 second at ISO 800.